It was wonderful to meet you Wolfgang. Thank you so much for visiting us at Neem House. 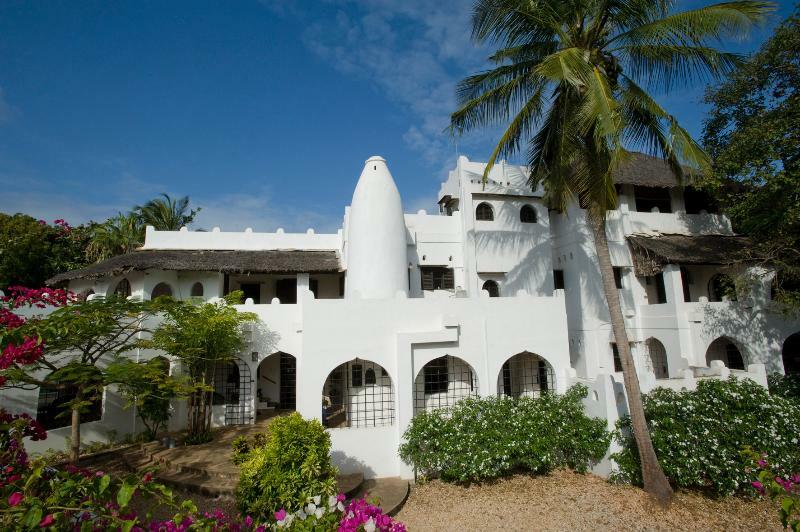 Neem House is built in the traditional Arab/Swahili style using thick limestone blocks, Boriti (Mangrove) pole ceilings and Galana slate floors. Furnishings are elegant and comfortable with beautiful brass fittings and numerous lamps. 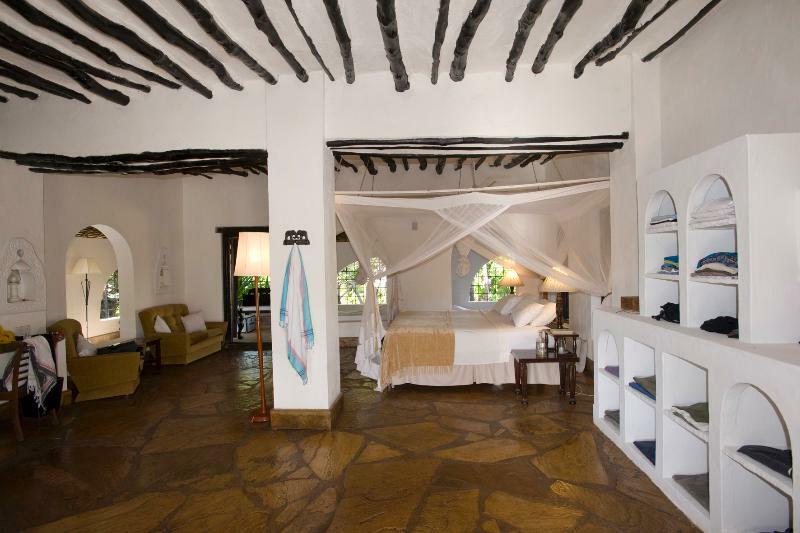 All bedrooms are large (main bedroom is 9m square) with high ceilings and private balconies. Linen is 100% Percale and pillows are hollow fibre (down on request). ' Windows' are large open 'arabesque' archways with cane blinds for privacy. All rooms in the house are surrounded by deep verandahs with wrought iron lattice work. Ceiling fans are fitted in all rooms. Bathrooms are spacious and well appointed with large 100% cotton towels. The main bedroom en suite bathroom has a separate bathtub. 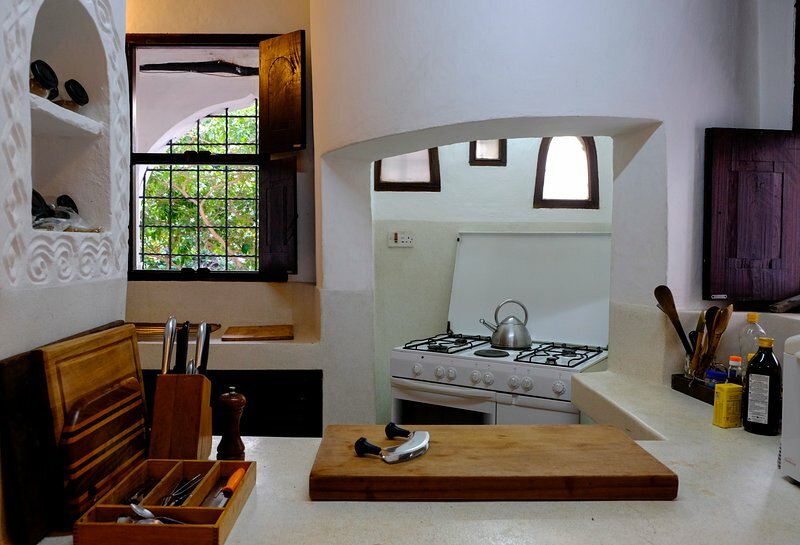 Kitchen is large and well equipped with a six burner stove and two fridges. 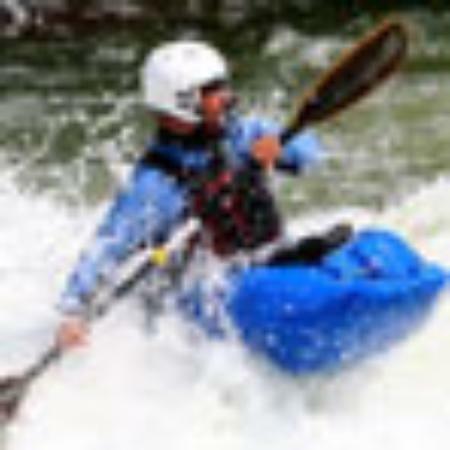 Crockery, cutlery and glassware is of high quality, cookware is all stainless steel. Direct flights into Malindi from Nairobi and complimentary transfer (10 minutes) to Neem House Direct flights into Mombasa and collected by private taxi - 120km to Malindi.